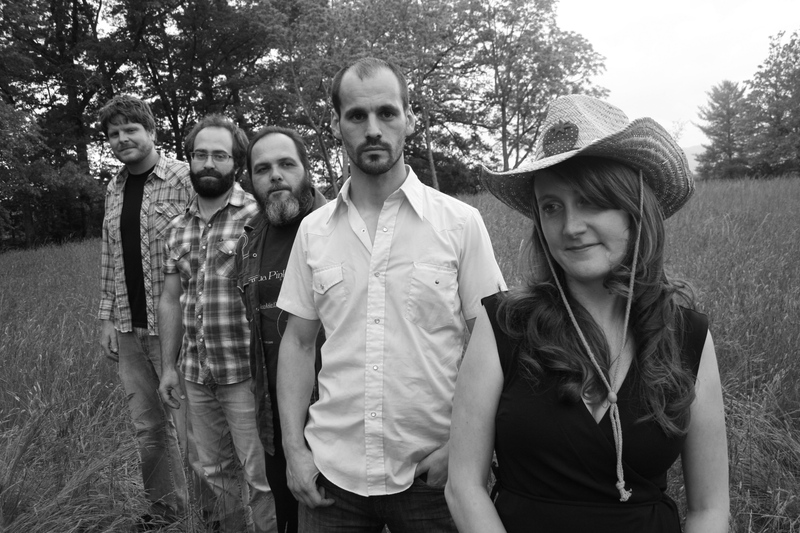 The Honeycutters Debut New Song on WNCW! The Honeycutters just debuted a new song on WNCW, are about to embark on an extensive tour throughout the northwest, and are in the last ten days of their Kickstarter campaign to raise funds for a Spring 2014 album release! 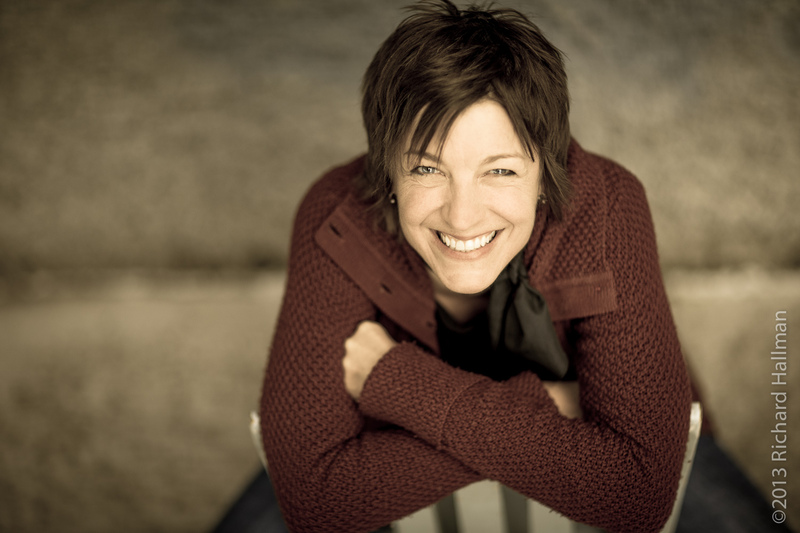 The band is fronted by vocalist and songwriter, Amanda Anne Platt and lead guitarist/ producer Peter James and includes Tal Taylor on mandolin, bassist Rick Cooper, and Josh Milligan on drums. 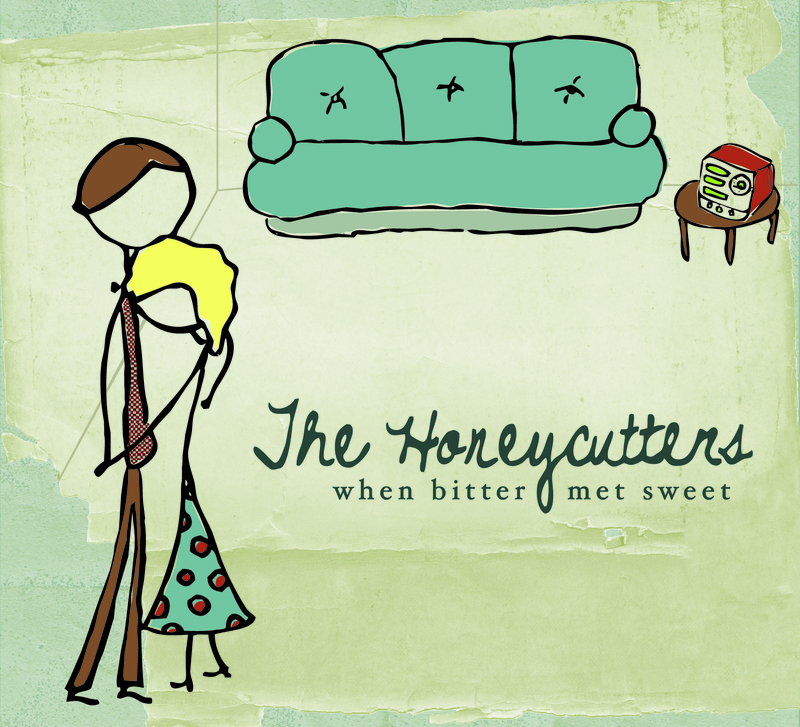 For a FREE download of a sampler of The Honeycutters’ music, visit NoiseTrade: http://bit.ly/honeycuttersntm. Last weekend was great week for The Honeycutters! They had a pair of hometown shows at the Isis Music Hall in Asheville with a more formal sit down dinner crowd on Friday night and a sold-out standing room only show on Saturday night. Check out this great review of the show in the Mountain Xpress by Alli Marshall. They’ll be LIVE on WGWG in Boiling Springs, NC at 2 PM Eastern on Thursday, May 30th. You can listen here!! They just introduced a brand new song “Wedding Song” and have been thinking of putting it on the new record but haven’t made up their minds yet! Please let us know what you think of it by posted a comment below or leave a note on their facebook wall! Watch the performance of the song below. There is still time to jump on The Honeycutters honey train to raise funds for their 4th album through Kickstarter. They’ve had over 180 fans pledge over $19,000 but they need to make it to $28,000 in 10 days or they don’t get any of it :(. You can pledge by going to the Honeycutters Kickstarter page and pledging whatever you can give in support of their next record. There are many great incentives at every level including a day at the studio w/ The Honeycutters; handwritten lyrics booklets to accompany the album; house concerts featuring The Honeycutters; an invitation to a either a guitar workshop w/ Peter James or a songwriting workshop w/ Amanda Anne Platt; a special edition poster; pre-release copies of the album; stickers; digital downloads and more. If you haven’t already, pick up a copy at a show or on Amazon! You can also stream the album on Spotify! 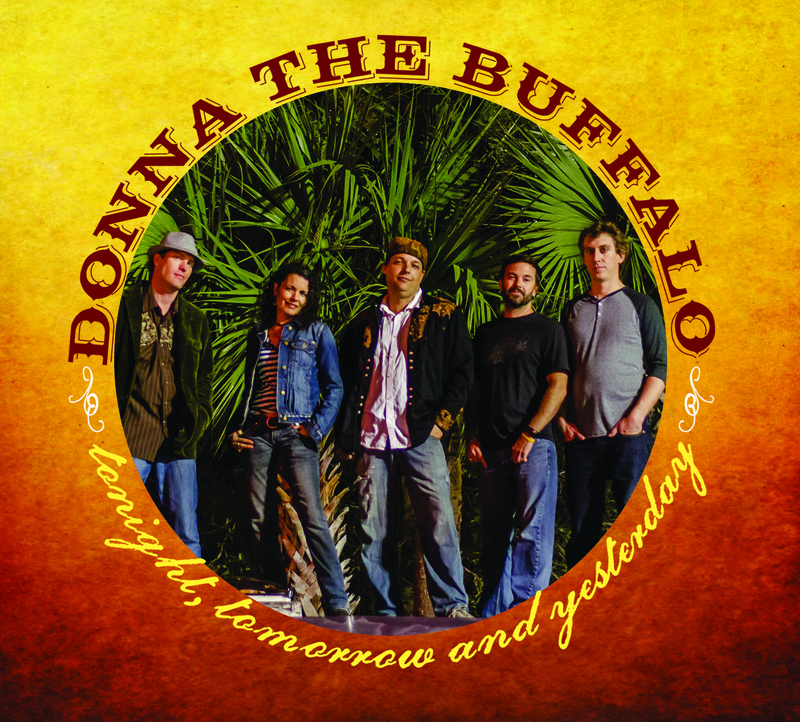 More energized and focused than ever before in their near 25-year career, roots-music troubadours Donna the Buffalo will debut their first studio album in five years, Tonight, Tomorrow and Yesterday, on June 18 via Sugar Hill Records. 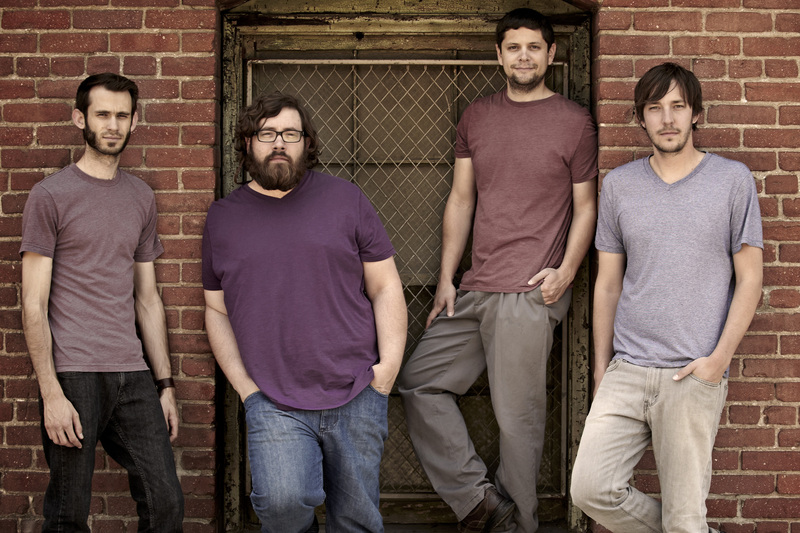 The follow up to 2008’s acclaimed Silverlined, which reached the Top 10 on the Americana charts, Tonight, Tomorrow and Yesterday—the group’s 10th studio album—proves the band as a consistent steward of Americana music, their signature sound—traditional mountain music infused with elements of Cajun, rock, folk, reggae and country—an eclectic and extraordinary melting pot of such. 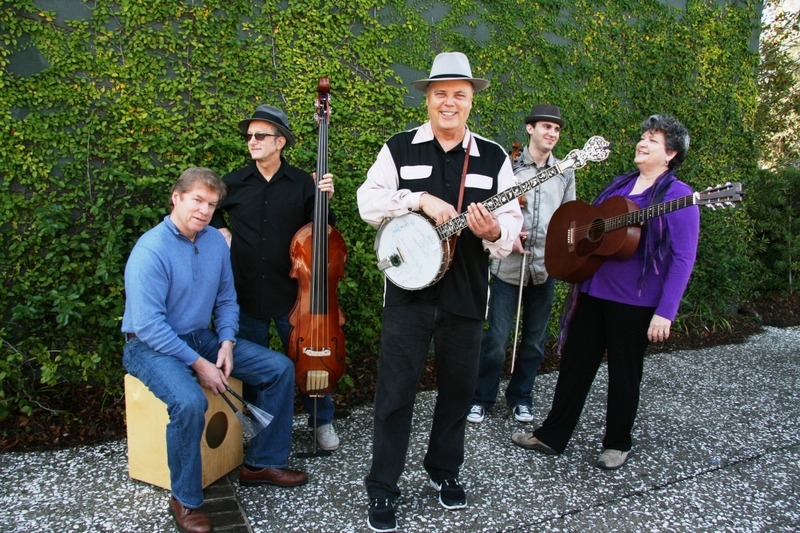 In creating the new album, founding members and songwriter-vocalists Jeb Puryear (vocals, guitar) and Tara Nevins (vocals, guitar, fiddle, accordion, scrubboard)—joined by band members David McCracken (Hammond organ, clavinet), Kyle Spark (bass) and Mark Raudabaugh (drums)—convened in a rustic church in Enfield, New York, along with co-producer and fellow upstate New Yorker, Robert Hunter (Branford Marsalis). The building overflowed with vibe, and the music poured out as the group recorded take after live take to old-school analog tape, with as few overdubs as possible. What resulted are the 14 organic and authentic tracks that make up Tonight, Tomorrow and Yesterday. 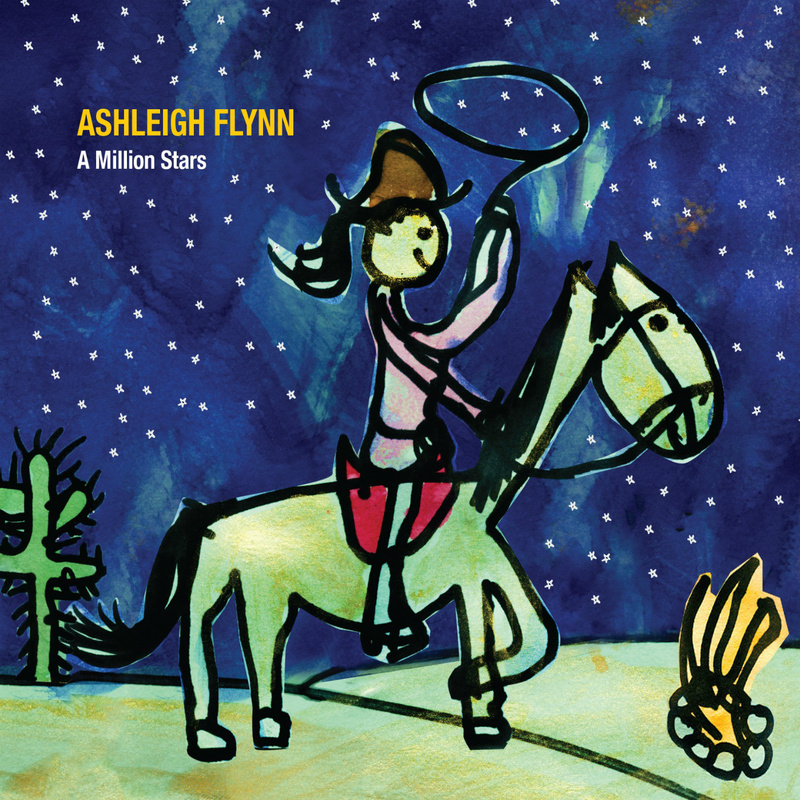 The album will be worked at Americana and AAA radio this spring and summer, with the emphasis track being “I See How You Are,” a tune penned by Nevins. In addition, the band will be touring heavily throughout the remainder of the year to promote Tonight, Tomorrow and Yesterday. Festival dates include MerleFest, The Finger Lakes GrassRoots Festival of Music and Dance, Nashville’s Dancin’ In the District, Strangecreek Music Festival, Blue Ridge BBQ and Music Festival, The Great Blue Heron Festival, Red Ants Pants Festival, Targhee Bluegrass Fest, Shakori Hills Grassroots Festival and MagnoliaFest, among many others. 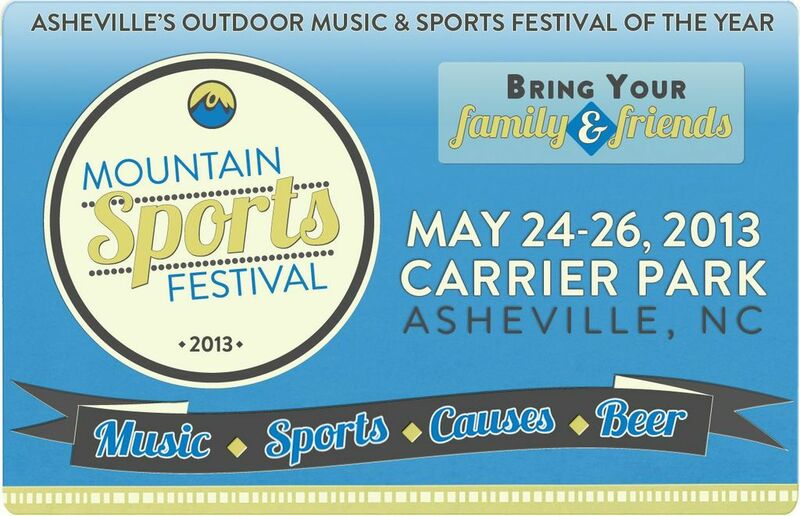 Get your groove on at Mountain Sports Festival in the spectacular mountain town of Asheville, NC on May 24-26, 2013! Hiking, biking, paddling, running, cyclocross, races, local beer, lots of exhibitors, workshops & an amazing lineup of live music! 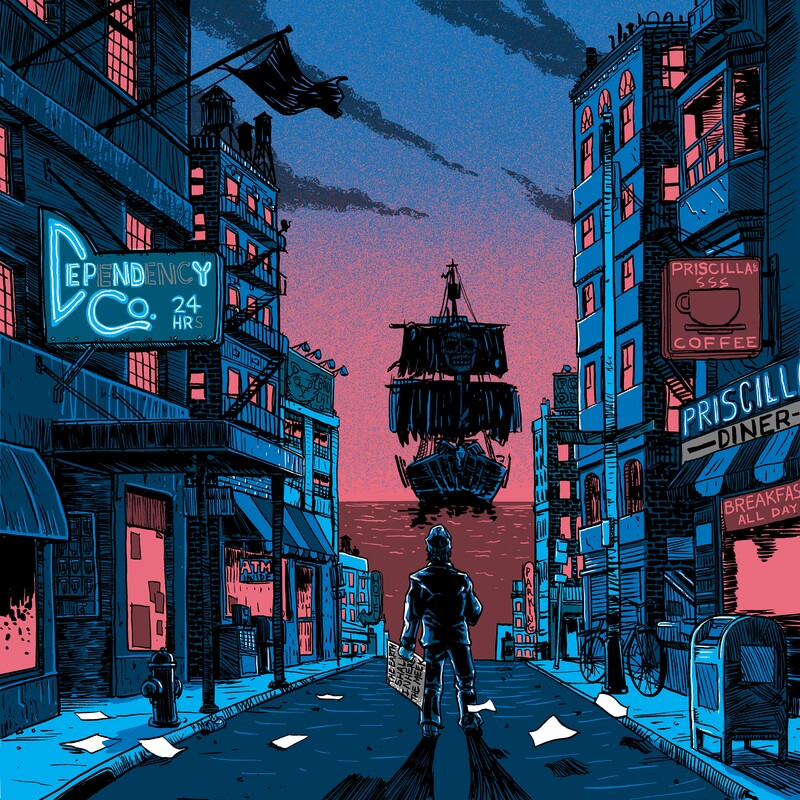 MUSIC – With a great lineup of indie and local bands; Brushfire Stankgrass , Bonerama , Jeff Sipe Trio, The Fritz, The Packway Handle Band, Jason Daniello, Jon Stickley Trio, Bear Down Easy, The Whiskey Grins, Chalwa, Cedric Burnside & Eleanor Underhill Solo! 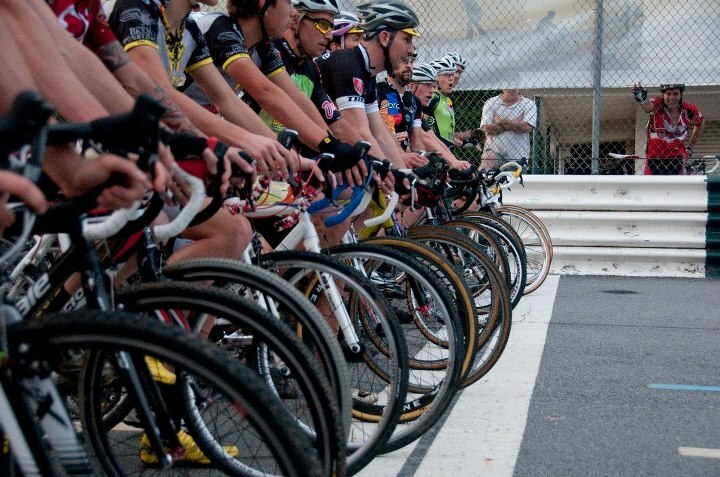 The Mountain Sports Festival returns to Asheville on May 24-26, 2013, with an impressive lineup to entice any pro or amateur athlete to test themselves in mountain sports. The 3 day festival brings in over 15,000 visitors and competitors in Asheville, NC, the center of the East Coast outdoor life. Along with the competition, athletes and spectators alike will find plenty of action at the Festival Village at Carrier Park, located along the French Broad River in Asheville. Located in the heart of the Blue Ridge Mountain region of the Appalachians, Asheville is the venue for a long list of competitive events coupled with entertainment, demos and exhibitors. Many sports festivals offer competition, but few add the mountainous terrain to take it up a notch for serious challenge and endurance. When not out at the races, the Festival Village is the place to be along the scenic French Broad River in West Asheville. This year Mountain Sports Festival introduces Outdoor Gear Builders Village. The Festival has worked to bring a focus on local manufacturing, bringing 15 of the mountains most innovative and unique Outdoor Gear manufacturers. The Outdoor Gear Builders Village will be packed with outdoor adventure gear manufacturers and exhibitors showing off their wares, while demonstrating all the latest equipment with tips and techniques for enjoying the outdoors. Races and competitions will take place throughout the weekend, beginning with Rock-2-Rock Trail Run in Black Mountain and the Disc Golf Challenge at Festival Village. These events will showcase some of the best disc golf tricks and shots, followed by the Asheville Cyclocross, Race beginning at Festival Village. Things will heat up early on Saturday with a full schedule of high-energy competition highlighted by the Girls on the Run Rise & Shine 5k, Mountain Disc Golf Challenge, French Broad Challenge Triathlon, Dodgeball Tournament and Complimentary Yoga. By Sunday, the events are still in high gear with day two of the Mountain Disc Golf Experience, Sand Volleyball Tournament, and the Ultimate Frisbee Clinic. The Festival Village Main Stage will be going solid, beginning Friday night and running through Sunday afternoon with a broad mix of live music featuring local and national acts. This Year’s headliners are locals Brushfire Stankgrass on Friday and Bonerama from New Orleans on Saturday Night. The full lineup includes Jeff Sipe Trio, The Fritz, Jeff Sipe Trio, The Packway Handle Band, Jason Daniello, Jon Stickley Trio, Bear Down Easy, The Whiskey Grins, Chalwa, Cedric Burnside & Eleanor Underhill Solo. The Mountain Sports Festival is organized by a volunteer group of community oriented citizens dedicated to the presenting of a well balanced series of outdoor events that encourage participation on all levels.